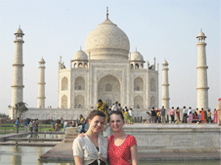 Discover India - a country like no other - with our meaning and very affordable volunteer programs! India is a country of great contrast and fascinating traditions. You can find this nowhere more so than in Delhi and Jaipur, the two cities in Northern India famed for captivating architecture and history. These cities also have their fair shares of problems, among them homeless children, gender discrimination and rampant poverty. There are many organizations that are tackling these problems and successfully empowering the disadvantaged. RCDP has been working with these organizations to make their programs more meaningful and effective. The programs were all started by the grassroots communities and solely for their own benefit. When you join any of the programs, you will help them achieve their project goals while also exploring the country that is colorfully, noisy and full of history and astonishing diversity. India is after all like no other country. Join now, or Email us and find out more about our program. 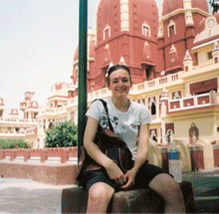 We would be delighted to send you program information and make your dream of traveling to India come true. RCDP India volunteer Program starts every 2nd and 4th Mondays of each month. 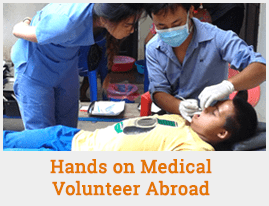 Every year, hundreds of volunteers arrive in India to volunteer from UK and USA based organizations and end up paying up to $2500 to volunteer for 2 weeks. Unfortunately, only a small portion of that money actually goes to host projects and host families. The local host projects (orphanages, school, and local NGOs) in India are resource poor and need external support to run their programs. In our model, you will pay your fee directly to the host families and projects upon arrival in India.When you join our program, we will make sure that all of your money goes to the projects and host families. Part of your fees also helps us to cover our expenses. The program fee is divided in as registration fee ($279) and weekly fee ($80 per week for room, food, coordination, and project donation). Weekly fee is divided between room/3 local foods a day (50%) and project donation/support of local project staffs (50%). This allocation may be different depending up on location, project type etc. However, our coordinator will explain these issues before you pay the fee. Please find below the breakdown of cost in a weekly basis. The weekly Fee Does Not Include: Airfare, daily transportation, Visa and Visa extension fee, Airport drop, airport taxes, any personal expenses on food and travel, mineral water and soft drinks, gifts to project staffs and host family, laundry, telephone, immunization. RCDP is responsible for looking after the accommodation and the meal of the volunteer during your program in India. During the first week of language and cultural immersion program, volunteers stay in RCDP's hostel in Delhi where cooks will prepare a variety of Indian food (Nan, curry, dal, chapatti, rice and pickle). During volunteering programs, volunteers stay in project hostel or with a host family. In both the places, you will be offered a clean, simple, and safe accommodation and local foods 3 times a day and served 3 local meals a day. Our host families in India are well screened and they are socially respected. The family will offer you a safe and secure place to stay. Staying with a host family is a wonderful way to immersion in a local culture. During the project, we will constantly monitor your progress and inquire if you're happy with the project or not. Our local coordinator lives close to the project and you'll have access to his mobile phone number 24 hours.